Dieci 17 adet ürün var. 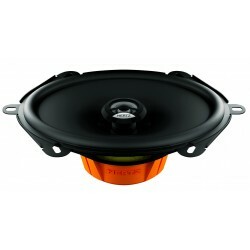 DS 30.3 Subwoofer The DS 30.3 car audio subwoofers box offer high efficiency and exceptional power handling. 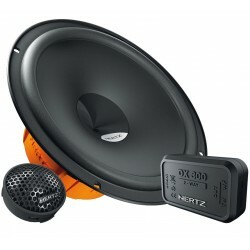 Equipped with a polypropylene membrane and butyl rubber surround, they provide high excursion with minimal distortion. An efficient cooling system ensures optimal heat dissipation, increasing their reliability. 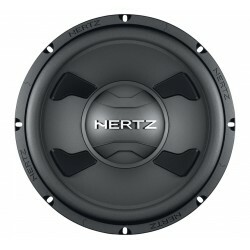 DS 25.3 Subwoofer The DS 25.3 car audio subwoofers offer high efficiency and exceptional power handling. 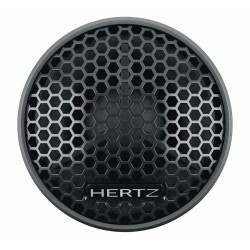 Equipped with a polypropylene membrane and butyl rubber surround, they provide high excursion with minimal distortion. An efficient cooling system ensures optimal heat dissipation, increasing their reliability. 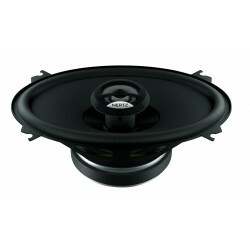 DBA 200.3 SUB BOX The DBA 200.3 car audio subwoofer box is an active subwoofer system with a 200 mm (8 in.) subwoofer and two passive radiators of the same size, powered by a 140 W amplifier built-in to the back of the enclosure. A control panel is used to adjust frequency, level and acoustic phase according to one’s own listening tastes. 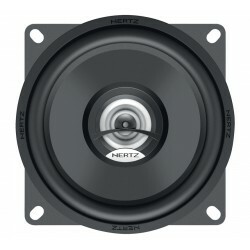 DT 24.3 Tweeter The optimized structure of the neodymium tweeter offers high efficiency and linear, extended frequency response unheard of in this category. The DT 24 car audio tweeters optimized geometry boasts an efficient, highly linear annular acoustic lens along with a PEI membrane, selected for its high stiffness and heat-resistance. Three way coaxial An authentic 3-way coax capable of reproducing a wide frequency spectrum. The DCX 710.3 uses an oversized magnetic group, TPU (Thermoplastic polyurethane) surround, a 60 mm diameter midrange and a PEI dome tweeter. 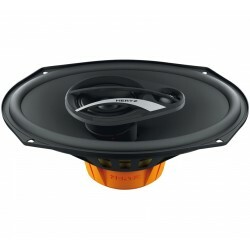 Two way coaxial This 2-way coax speaker is designed to satisfy specific installation and listening needs. 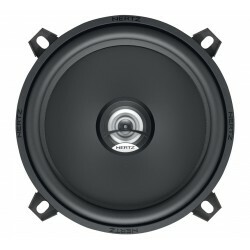 DCX 570.3 features a neodymium magnet, PEI dome tweeter, built-in crossover, TPU (Thermoplastic polyurethane) surround and a copper mobile voice coil wound on conex former. 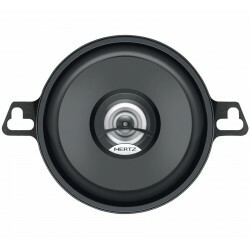 Two way coaxial This 2-way coax speaker is designed to satisfy specific installation and listening needs. 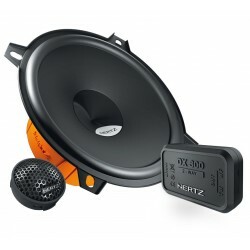 DCX 460.3 features a neodymium magnet, PEI dome tweeter, built-in crossover, TPU (Thermoplastic polyurethane) surround and a copper mobile voice coil wound on conex former. Two way coaxial The DCX 87.3 is a coax combining a woofer made of the highest performance materials with a neodymium tweeter featuring the exclusive PEI dome. Despite its compact size, the DCX 87.3 features an oversized magnetic group for ultimate control, still maintaining a compact size. Two way system Dieci component systems let you realize a high quality audio system with the utmost in simplicity. The woofers employ the exclusive V-cone® profile for amazing off-axis response and detailed mid-high range. Three way coaxial An authentic 3-way coax capable of reproducing a wide frequency spectrum. The DCX 690.3 uses an oversized magnetic group, TPU (Thermoplastic polyurethane) surround, a 60 mm diameter midrange and a PEI dome tweeter. The result is linearity, wide dispersion and extra-ordinary efficiency not found in traditional coax components. DCX 130.3 Two way coaxial To meet all installation needs, without giving up on Hertz quality and performance, The Dieci DCX 130.3 car audio coaxials were designed with maniacal care to provide a linear frequency response and ensure high reliability. 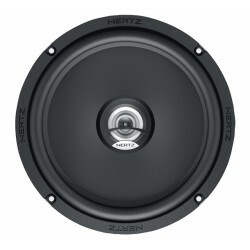 DCX 100.3 Two way coaxial To meet all installation needs, without giving up on Hertz quality and performance, The DCX 100.3 car audio coaxials is designed with maniacal care to provide a linear frequency response and ensure high reliability. DSK130.3 Two way system Dieci car audio systems let you realize a high quality audio system with the utmost in simplicity. The woofers employ the exclusive V-cone® profile for amazing off-axis response and detailed mid-high range.